The Modular Tackle System (MTS) comprises three inter-connecting padded pouches that can be used for safely transporting anything from key terminal tackle to leads and other angling essentials like buzzers, buzzer bars, short banksticks and accessories. The MTS pouches can be used as a set - clipped and zipped together - or separated as individual units when travelling light. 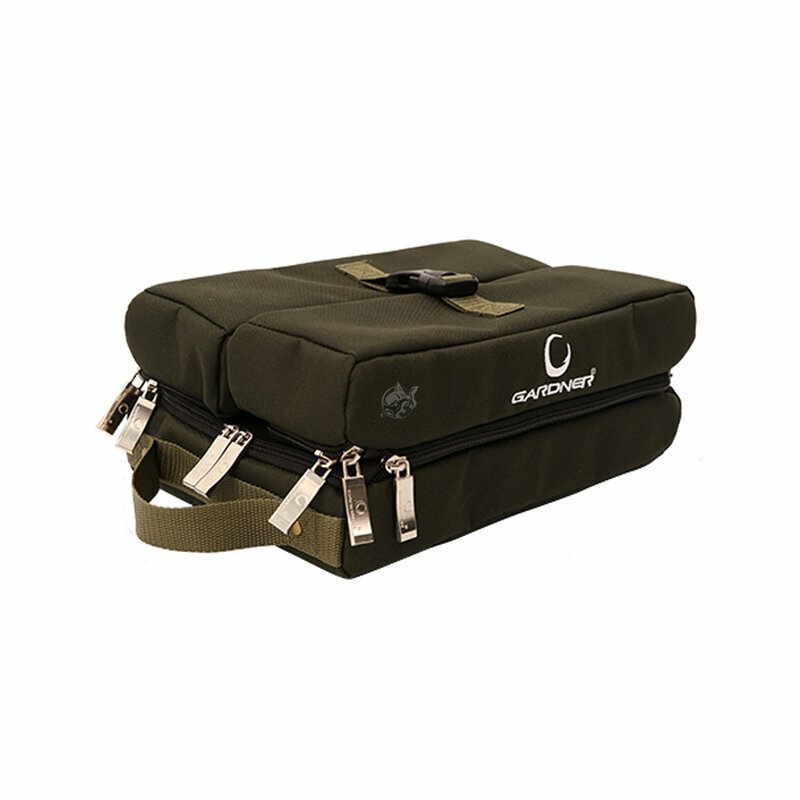 The system comprises a large padded base, plus two removable padded pouches. Each padded top pouch has slightly different internal features (loops or divider). Tough, heavy duty, waterproof and rot resistant 600D Polyester material. 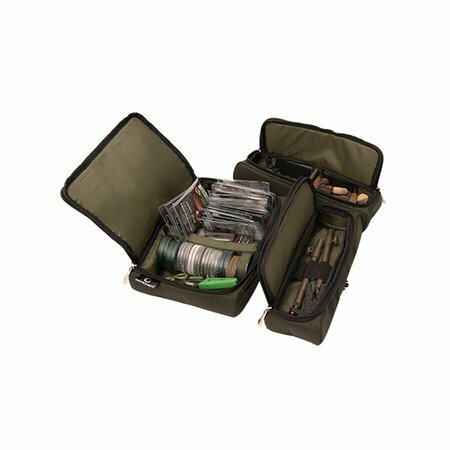 Base pouch features a versatile padded divider (Velcro attachment). Heavy duty waterproof PVC bottom on base unit (easy wipe/clean). High quality zips throughout and strong webbing style handle on base. Du hast Fragen zum Artikel Gardner Tackle - Modular Tackle System MTS ?